Lounging in your backyard, front lawn, or garden won’t be as cozy and peaceful if your surroundings are not taken care of. 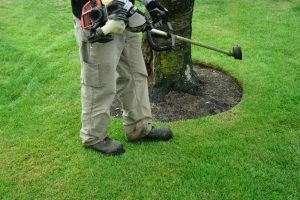 Aside from a dirty environment, what makes most people feel distressed is the length of the grass and weeds that need to be trimmed or pulled out. Mowing has been one of the biggest responsibilities of homeowners with big parcels of land. Otherwise they would seem like living in a rainforest in the middle of a city. Not to mention, the decreased safety of the family living along with a weed-infested lawn. Therefore, having your own weed eaters not only makes your home pleasing to the eye, but it also feels great when you gaze at how kept your home is. 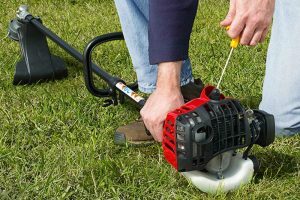 Getting a weed eater that will take care of pesky growths may seem like a big step, as good and lasting ones don’t come cheap. We have compiled weed eater reviews that will help you in your search. 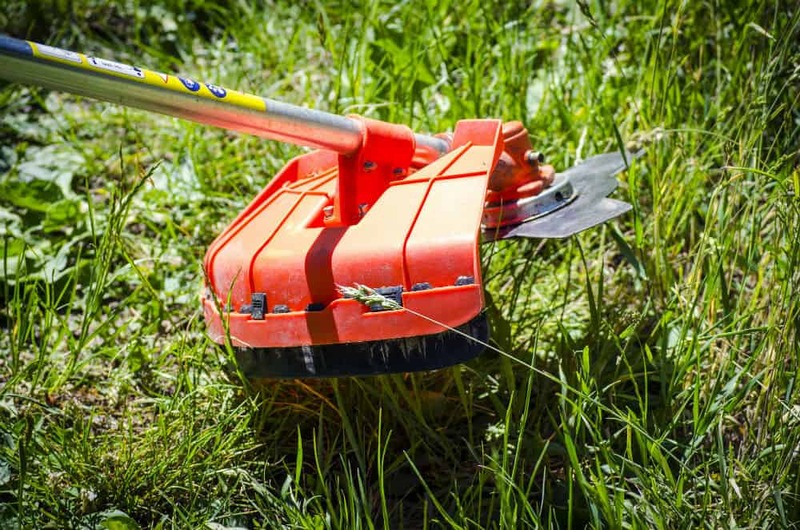 Reading through the reviews of the best weed eaters in the market will make you decide much faster and be sure on your purchase. Although it sounds unimportant, a weed eater shouldn’t be bought on a whim, and instead thoroughly planned for. Weed eaters may sound like a less expensive and important appliance in a home. 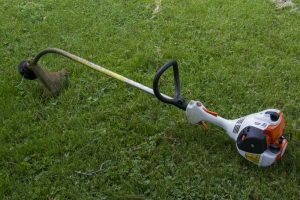 Unlike buying a new refrigerator or washing machine, weed eaters may seem like a breeze to buy and doesn’t require much thinking. 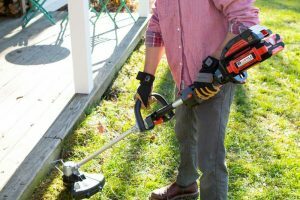 However, since the good ones don’t come cheap and you’ll want to get utmost safety when using it, you should take some time reading through the following weed eater reviews to determine the one that suits your needs and preferences. This trimmer is said to be one of the top performers and it is also one of the lightest one there is that is easy to hold and maneuver. 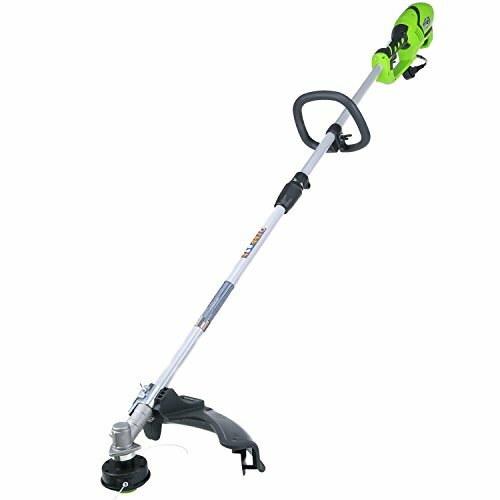 With battery use, this trimmer is cordless, making it easier to use especially on a wider space. It is fully charged in about an hour or so. 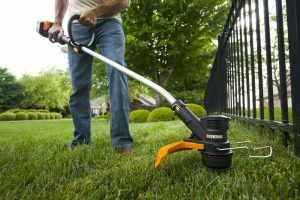 It uses a PowerCommand dial to choose between max power to tackle thick weeds and max runtime to increase battery life. The Black & Decker trimmer uses a trigger lock and two-stage starting sequence, which prevents the motor from starting because of accidental trigger pull. This trimmer is also very quiet, much quieter than the known gas and electric trimmers in the market. To also give you the peace of mind, this trimmer comes with 30-Day Satisfaction Guarantee and 3 Year Full Warranty. It cut through the most basic weed growing out there and other stalky weeds with ease. It is much lighter and far easier to handle to other cordless trimmers of the same kind. It also boasts of a six-setting motor that boosts cutting power and extends battery runtime. ​This weed eater comes in two choices: the 36V battery or 40V battery that is rechargeable with long run-time to complete jobs efficiently. ​Although it is almost perfect, users admit it has flaws; don’t expect tall grass or very thick weeds to be cut in just one pass. This con shouldn’t be considered as a deal-breaker though. 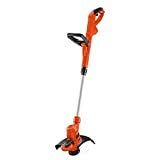 This trimmer comes cheaper than the Black & Decker trimmer and gives out more choices for power: 10 Amp with 18” cutting path, 4 Amp with 13” cutting path, and 5.5 Amp with 15” cutting path. 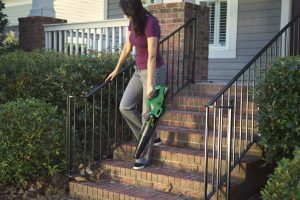 For enhanced safety of the user, the GreenWorks trimmer comes with a lock-off switch to avoid accidental slips. However some users complain about it being placed to low and how it can cause fatigue on bare hands. However, because of its power and range, many people choose this to get the job done. 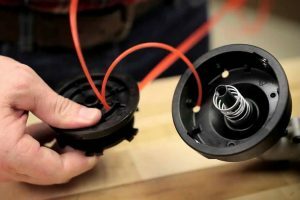 Another con to get this product is its four-year consumer warranty, which is considered above average for string trimmers. ​Get the 10 Amp model, the strongest, if you foresee that you’ll be tackling tough weeds and thick grass in your yard. The 18” cutting path also enables you to get the job done quickly. The handle is covered with cushion and molded-grip for comfort. It is heavy, about 10 pounds but it is easier to handle because the components are well balanced. It is also noisier and heavier than Black & Decker. This trimmer uses smart start and auto return stop switch so you won’t have trouble turning this machine on and off. Because it is gas-powered, it has an engine along with it, which makes it heavier compared to its battery or electric counterparts. The lightweight plastic parts lessen the weight. It comes with a two-year warranty that can be extended up to four years if you purchase three 32-ounce cans of Husqvarna pre-mix fuel and if you register your product online. 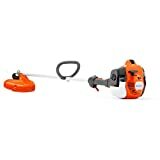 Be very sure when you purchase this product as Amazon and Husqvarna don’t accept returns. ​It houses E-Tech II for reduced gas emissions if you’re a “Go Green” supporter and has a safety harness for better grip and control. ​However, many owners complained about the cheap feel of the plastics, though it doesn’t have a major effect with the overall performance of the product. Having that clean, manicured lawn and garden is easy once you have your own weed eater. When you get the right machine for you, exerting too much effort cutting off weeds will be just a thing of the past because of how fast and efficient this tool can be. 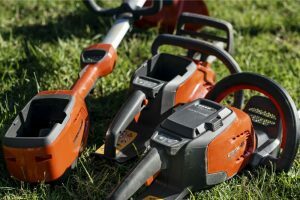 High-powered ones can work non-stop for a few hours, which makes it easier for you to finish the job faster; you won’t have to dedicate your whole weekend just working on your lawn. Hopefully, you’ll be able to find the right machine for you through this weed eater review. If not, then you might at least get an idea on what to look for when buying your weed-eater. Also check our article on the "​​What are the best Weed Eaters? ", for more ​weed eater choices.